A ping test uses your internet connection to send out packets of data to a specific address. These packets are then sent back to your computer. The test records the amount of time it took for the packets to reach the address, and whether or not any packets were lost in the process. The test is to show if there is two-way communication to another network location. 2. 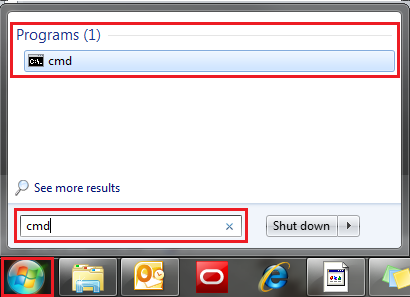 Select the Command Prompt app - it will be at the top of the list of search results as the best match. 3. A black box with a flashing cursor will open; this is the Command Prompt. Type“ping” and then hit the Space bar on your keyboard. 4. Type in the address you’d like to ping and then hit the Enter key on your keyboard. Wait for the ping results. 3. Click cmd found in the search results for Programs. 4. A black box with a flashing cursor will open; this is the Command Prompt. Type “ping” and then hit the Space bar on your keyboard. 5. Type in the address you’d like to ping and then hit the Enter key on your keyboard. Wait for the ping results. 1. 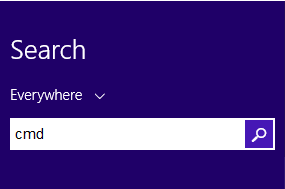 Open the Start menu by clicking the orb in the bottom left-hand corner of the screen. 2. Type “cmd” in the search bar at the bottom of the menu. 4. A black box with a flashing cursor will open; this is the Command Prompt. Type“ping” and then hit the Space bar on your keyboard. 1. Click the Start button in the bottom left-hand corner of the screen. 2. Click the Run option in the right-hand column. 3. Type “cmd” in the text box and then hit the Enter key on your keyboard. 1. On the home screen, open the Spotlight search tool and type “network utility” in the search bar. Double click the Network Utility app to open it. 2. Select the Ping tab and then type the address you’d like to ping in the text box. Click Ping and wait for the ping results. 1. First you’ll see the replies for each packet sent in the ping test. 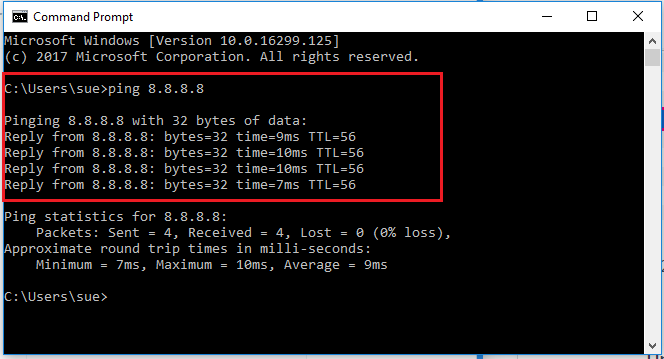 A Windows pingtest will typically send 4 packets; a Mac OS ping test may send more. 2. You’ll then see the statistics returns from the ping test. 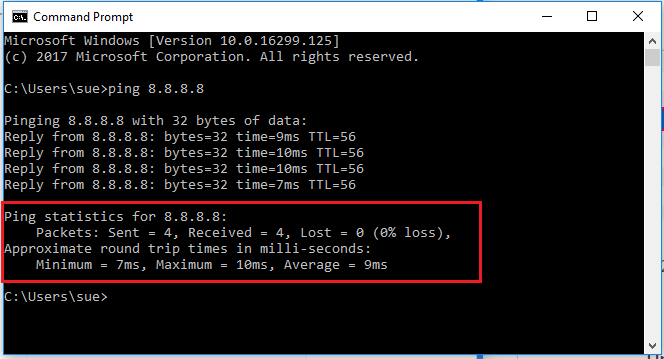 These results can be useful in advanced troubleshooting for latency issues, but the fact that the ping test returned results means that your computer is able to communicate to that address. In most cases you will need to copy-paste your results to save them as a Word document, .txt file or simply paste them in an email so you can send them to us. 2. Use the CTRL+C shortcut on your keyboard to copy your text. 3. The text is now copied. Open any other text editor or email program and use CTRL+V to paste the copied text. The text is now copied. Open TextEdit or any other text editor or email programand use COMMAND+V to paste the copied text.